Life would be boring if we were all the same. Living in the most culturally diverse state in Australia, as Victorians we are encouraged to be inclusive and tolerant of everyone, and to show respect for aspects or characteristics in a person perceived to be different to our own. Diversity and inclusion are important components of a healthy, happy and effective society where everyone feels recognised, valued for who they are and able to contribute, irrespective of their background, religion, ethnicity, language etc. 1: The SINC program (Singing for Inclusion) A series of workshops run by Community Music Victoria in partnership with Creativity Australia to train singing leaders in running inclusive singing groups. 2: Voices of Peace: a project to empower recently arrived and settled refugees from Assyrian Chaldean background to establish a Women’s Choir though which to build and strengthen connections and to reduce the pain of dislocation and loss sustained through the persecution they have endured. As a prelude to these posts, we felt it worthwhile to re-visit what is meant when we talk about diversity, and inclusion. Through its very essence, diversity is not restricted and defies definition. While the most obvious and noticeable points of diversity in people such as age, race, gender, and other physical attributes are external, you can never assume anything about a person simply by looking at them. Avoid stereotyping at all cost. Non-visual or invisible diversity covers a plethora of factors, issues and circumstances that are not seen readily and can only be ascertained if that person choses to share them with you. Again, never judge a book by its cover, and be prepared to ask people about themselves in an open, direct and empathic way. Put simply, diversity means there is a point of difference. Which brings us on to the other side of the coin: inclusion. We each carry a diverse and unique set of cultural beliefs, experiences and attitudes which define us. Inclusion is the practise of allowing our individual differences to be recognised and socially accepted. It is about being welcomed into a situation and feeling fairly and equally treated for the person you are and not judged on your religion, origin, age, gender, marital status, etc. Inclusion is vital in creating a rich and stable environment where shared learning leads to strength and cohesion and one in which people can thrive. It is about creating what Community Music Victoria refers to as ‘a free and fearless space’ in which everyone has the capacity reach their full potential because they feel genuinely included, supported and valued. It requires a commitment to the process of continued learning, and in this respect is a journey for us all with a number of positive outcomes. In a fully inclusive society, diversity is embraced and celebrated as opposed to shunned, feared or stereotyped and the potential and opportunity for connection is greater. Through seeking to understand and educate ourselves about difference, we can move forward more cohesively and, in doing so, create a rich and varied society where commonality and difference co-exist happily, where people feel safe to share their backgrounds and culture whilst retaining the practice, beliefs, characteristics and traits which make each of us so delightfully unique. Victoria State Government Diversity and Inclusion Strategy 2016-2020. Download a copy here. The next time you sit down to read to a toddler, consider popping that ole book back to its place on the shelf for a while*, and playing some homemade music together instead. Over time, the long term effect of your action might just make the world a better place to be. Research from the University of Queensland conducted over two years on more than 3000 young children showed that making music with toddlers could have even more of a positive impact on their development, than sharing a story. And lets face it, banging on pots and pans is loud and fun for everyone (especially the neighbours, who will love you). Findings from the study, ‘Being and becoming musical: towards a cultural ecological model of early musical development’ (2013–2015) indicate that early involvement in music participation has the capacity to improve numeracy, increase attention and assist with the development of prosocial behaviour and skills which, being the opposite of anti-social skills, are therefore beneficial to the good of society as a whole. In a new study from the University of Montreal, infants remained calm twice as long when listening to a song, which they didn’t even know, as they did when listening to speech. 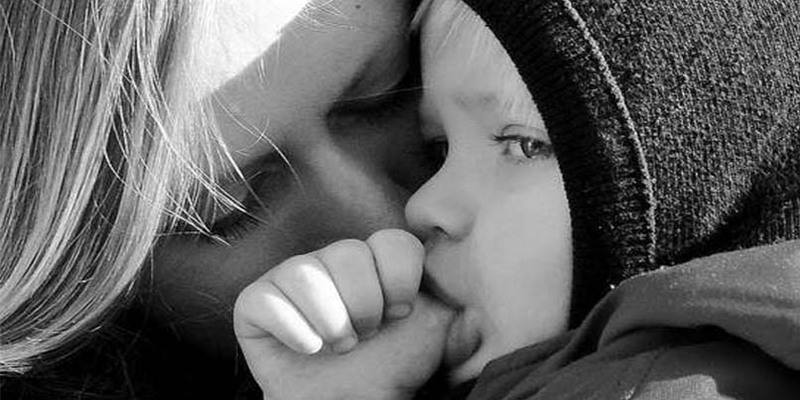 “Many studies have looked at how singing and speech affect infants’ attention, but we wanted to know how they affect a baby’s emotional self-control,” explained Professor Isabelle Peretz, of the university’s centre for Research on Brain, Music and Language. “Emotional self-control is obviously not developed in infants, and we believe singing helps babies and children develop this capacity.” The study, recently published in Infancy, involved thirty healthy infants aged between six and nine months. Humans are in fact naturally enraptured by music. In adults and older children, this “entrainment” is displayed by behaviours such as foot-tapping, head-nodding, or drumming. “Infants do not synchronize their external behaviour with the music, either because they lack the requisite physical or mental ability,” Peretz explained. “Part of our study was to determine if they have the mental ability. Our finding shows that the babies did get carried away by the music, which suggests they do have the mental capacity to be “entrained”. My friend Bev McAlister was diagnosed with breast cancer a few years ago. She got through her surgery and radiotherapy, frequently making the long trip from her home in the Dandenong Ranges outside Melbourne to a hospital in the city for treatment. Of course this was an exhausting and challenging time. When Bev was told after her treatment that she should now do daily exercises for lymphoedema, she simply could not get motivated. So she came up with an idea to help women get motivated to add this important activity to their lives: Breast Beaters. Bev’s vision was this: set the exercises to lively music; add some singing and light-hearted activities; make a DVD so people could do it at home (alone, or with family and friends); run regular group sessions at local community venues, where women could meet others who had been through breast cancer, do the exercises together, have a laugh, have a chat, have a sing, have some fun. As a singer and community arts worker, I thought this was a great idea. So, through Dandenong Ranges Music Council we applied for funding, were successful, and before I knew it I was Musician in Residence for Breast Beaters! Twelve months later, the vision has become a reality – the DVD was launched at a lively event in Lilydale on 26th of June 2015; the first Group Session has been run in Yarra Glen, and the DVDs are being distributed to health professionals and women living with breast cancer. During the research and development phase of Breast Beaters, I worked with lymphoedema therapist Maria Stirling (Health Consultant on the project), and consulted with other health professionals working in the field. Guitarist Ken Murray and I worked together to create a 15-minute Medley of 9 songs (ranging in style from bossa nova to waltz, twist, and Celtic), each song matched to the timing and needs of the exercises. In the Medley we included deep-breathing exercises (used by both lymphoedema therapists and singing teachers) and “singalong” sections for easy singing. This material was trialled for six weeks by a small group of women living with breast cancer in the Yarra Ranges region, and responses were encouraging. 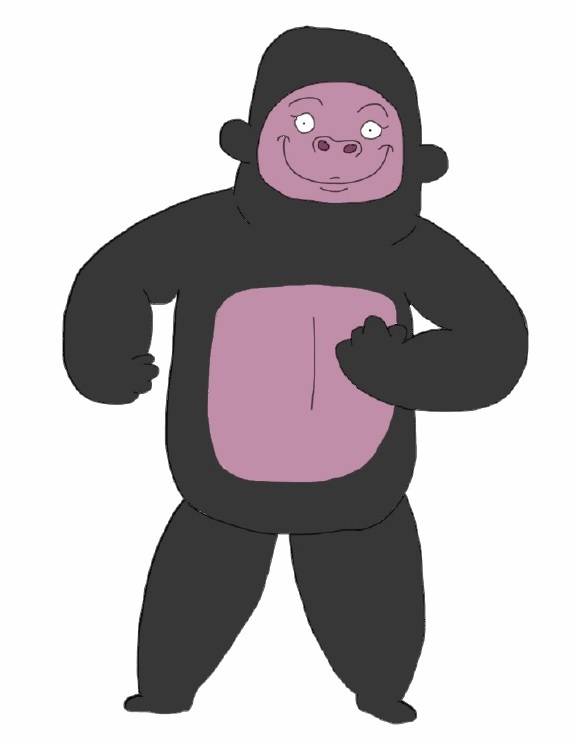 In addition to the Medley, the DVD includes teaching material, voice-over and subtitle features to help people learn the Medley, and delightful animations (including a dancing gorilla) to give people a laugh. We also trialled Group Sessions, and learnt that these will be an extremely important part of the program. Group Sessions will occur at least once a month, in a range of community venues, and will be informal, fun, and accessible. Sessions will last 90 minutes, and will be suitable for women new to the program, and those familiar with the program. They will be led by community choir leaders (or others with similar skills) who have received training about lymphoedema and Breast Beaters. Sessions will include learning and participating in the Medley, simple group singing activities, cup of tea and chat, and information about relevant events or resources. Further funding was recently awarded by Yarra Ranges Council to run a series of 8 group sessions and these will run from October to December, in community venues across the region. Free copies of the DVD will be distributed at these sessions. The schedule (and other resources) can be found on the Dandenong Ranges Music Council website www.drmc.org.au Please contact me for all enquiries, and to obtain a free copy of the DVD. We are proud and excited to have created a new resource for women living with breast cancer, and for their health professionals, families and friends. May the joyful breast beating and singing begin! For anyone witnessing the degeneration of a person affected by the later stages of Alzheimer’s, it can be baffling but extremely heartening to witness their response to music and songs from their past. This phenomenon has been well documented with singing and music therapy incorporated increasingly into care programs. But, until very recently, no scientific explanation or evidence has been available about how and why this should be. In a recent study using MRI scans to show brain activity, neuroscientists have been able to locate the precise area of the brain where our musical memories are stored. In doing so they also realised that in a brain affected by Alzheimer’s, this ‘musical storeroom’ appeared more resilient to other degenerative effects of the disease. 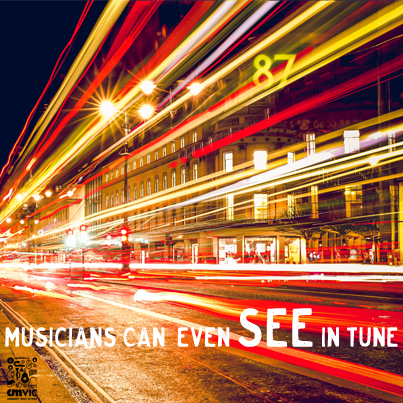 Musicians don’t just hear in tune, they also see in tune. That is the conclusion of the latest scientific experiment designed to puzzle out how the brain creates an apparently seamless view of the external world based on the information it receives from the eyes. “Our brain is remarkably efficient at putting us in touch with objects and events in our visual environment, indeed so good that the process seems automatic and effortless. In fact, the brain is continually operating like a clever detective, using clues to figure out what in the world we are looking at. And those clues come not only from what we see but also from other sources,” said Randolph Blake, Centennial Professor of Psychology at Vanderbilt University, who directed the study. NB: The Community Music Victoria model of teaching doesn’t rely on a person’s ability to read music and follow dots. In singing leadership, for example, we involve a hand, raised and lowered to demonstrate changes in pitch, creating a visual soundscape which is inclusive and easy to follow. It would be interesting to know how that kind of cognitive association with music applies in the context of these findings.